The Peacearch News is reporting that "Surrey RCMP are investigating three shootings that occurred within 12 hours of each other on Saturday night. The first had police cordoning off 30 Avenue between 148 Street and 147A just before 6 p.m. According to an RCMP news release, another shooting, this one just at 5:21 a.m. Sunday, took place in the 14700 block of 30 Avenue – the same location as the one just hours prior. A third shooting took place in the Newton area of Surrey at 5:10 a.m. Sunday. A news release said that Mounties are investigating a shooting in the 8400 block of 121a Street. 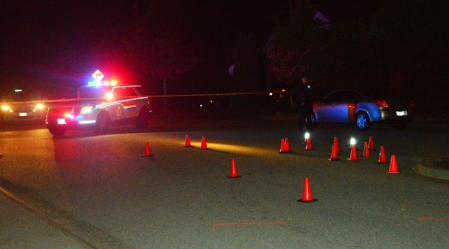 Update: The Peacearch News is reporting that "Five people have been arrested in connection with a pair of shots-fired incidents in South Surrey over the weekend. Police announced the arrests, and the seizure of three vehicles – all of which took place at a residence in White Rock – in a news release issued late Monday afternoon."